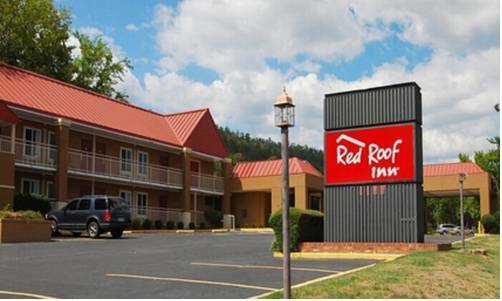 Red Roof Inn Hot Springs offers an upscale room at a great price. It is located at the foot of the Hot Springs National Park & Mountain Tower Hiking Trails. This hotel is conveniently located mile from the Hot Springs Convention Center and only 1 mile from Magic Springs and Crystal Falls. Red Roof Inn Hot Springs offers an upscale room at great prices. It is located at the foot of the Hot Springs National Park & Mountain Tower Hiking Trails. This Hotel is conveniently located mile from the Hot Springs Convention Center and only 1 mile from Magic Springs and Crystal Falls. ~46 miles from Hot Springs. ~49 miles from Hot Springs.